Earn $4.79 in VIP credit (479 points)What's This? The SP Connect FITNESS BUNDLE lets you mount your phone securely to the RUNNING BAND and you can you listen to music or use apps while running or exercising. The breathable and adjustable armband keeps your device close at hand during workouts. The reflective print adds to your safety. 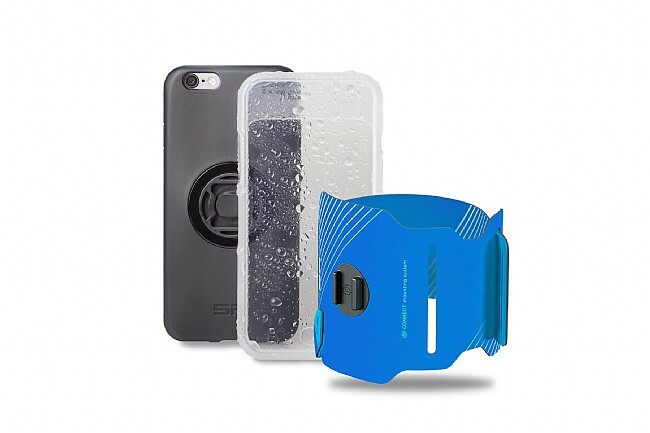 The slim and functional phone case protects your smartphone at all times and attaches in a second to the running band by the patented twist to lock mechanism. Compatible with iPhone 6S Plus only. 3-layer case construction for ultimate safeguarding. Use of all ports and buttons. Hidden key/money pocket, cable loop. Lightweight and adjustable (22-36cm / 8.7 – 14.2 inch).